129 IN. COBRA & 137 IN. RIPSAW II TRACK WITH 1.25 IN. LUGS: The cupped lug design on the Cobra track provides superior handling, acceleration and braking on soft, loose snow. When it comes to taking on the trails, the Ripsaw II track is one of the best trail tracks out there. Both have a 15-in. wide footprint with 1.25 in. lugs. 11 IN. 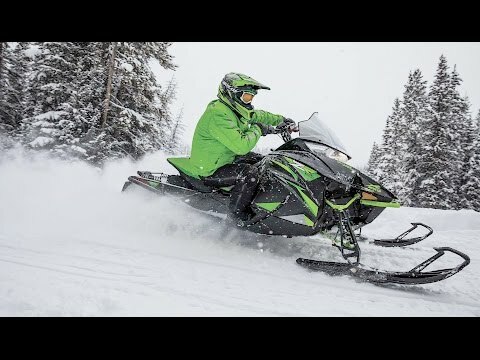 MID-HEIGHT WINDSHIELD: The perfect mix of protection and comfort, keeping any spray from slowing you down when the going gets really fast.HAND GUARDS: These hand guards not only help keep your hands warm, they’re made of durable, injection-molded plastic to stand up to tough conditions. PROCROSS - 5 & 6 SKIS: Exclusively on our ZR 6000 R XC, the ProCross™ 5 is our narrowest ski and is specifically built for speed. 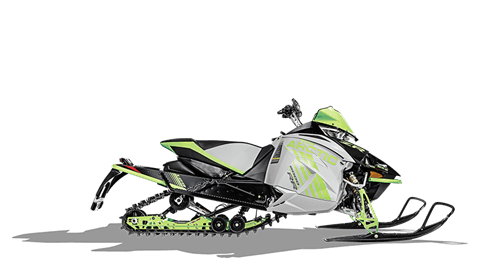 This ProCross™ 6 ski that comes standard on the ZR RR 137″, has excellent handling on hardpack snow and good flotation in loose snow. A stiff, deep keel provides positive cornering in all conditions.